A volunteer security patrol has been launched to fill the gaps in areas the army can’t always reach, in order to thwart future attacks. Josh Hasten interviews Daniel Hanson, the Deputy Head of Security for Gush Etzion. Hanson discusses the many cases of agricultural terrorism in the Gush this past week. 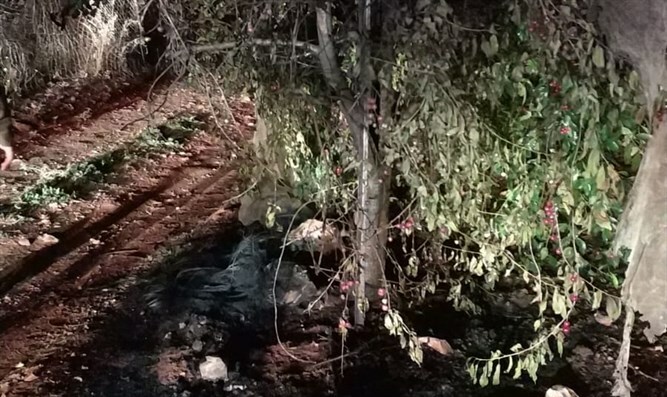 He says that Arabs from nearby villages have been hurling burning tires into Gush Etzion communities, starting fires in cherry orchards and fields and causing thousands of dollars in damage. Hanson explains that while it starts in the fields, his main concern is to protect the residents in adjacent homes from these acts of terror. He adds that a volunteer security patrol has been launched to fill the gaps in areas the army can’t always reach, in order to thwart future attacks.